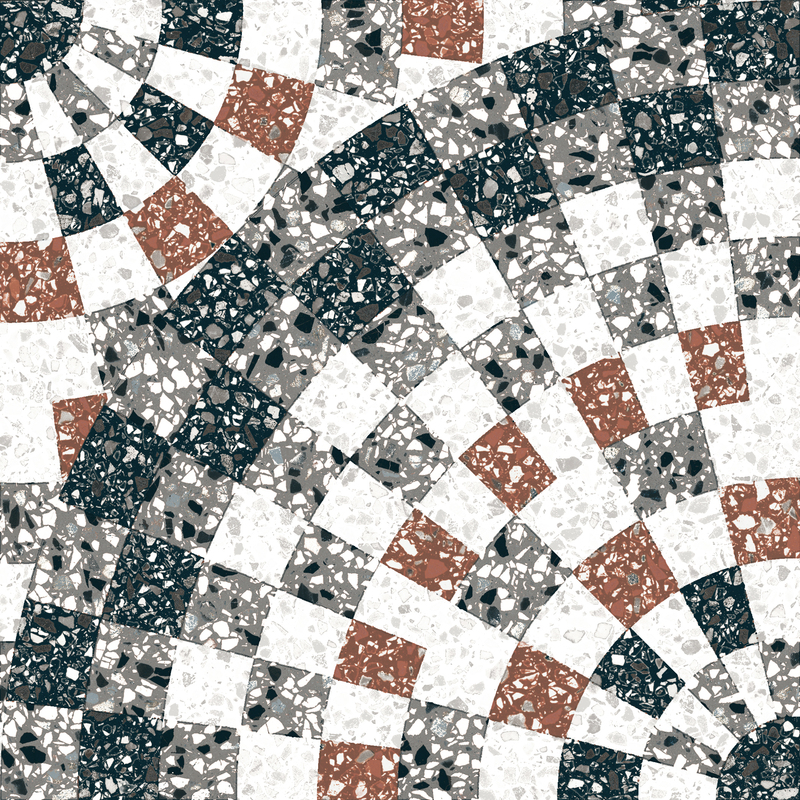 Terrazzo was invented by the Greeks more than 8,000 years ago and is one of the hardest floors at all. The material has had its ups and downs, but is now in the middle of a strong comeback into the Danish homes. 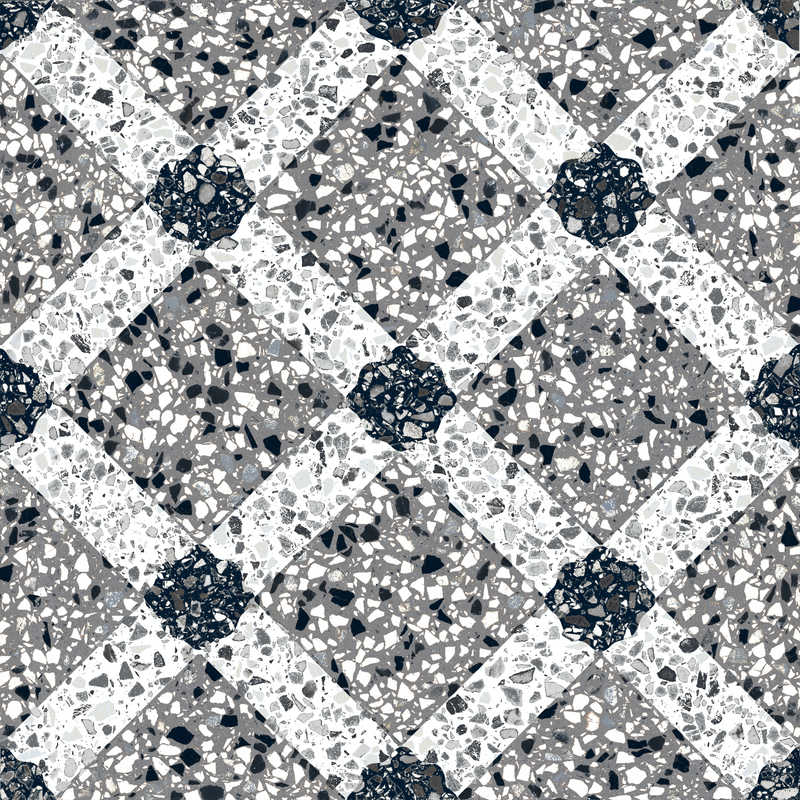 Where the original terrazzo floor is molded on the ground, sanded and polished, the new ceramic tiles from Mosaikhjørnet can be laid on a weekend - a cheaper and faster solution. 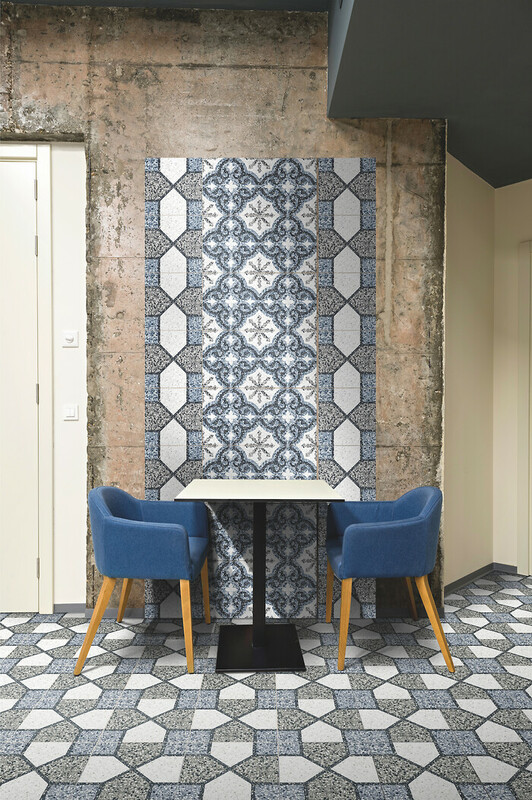 You can choose from three basic colors and 15 different patterns, to put together your very own floor - and let the pattern continue on the walls, if that's what you want. Ceramic tiles have the extra charm that they can also be used as wall coverings. And so the tiles, which are similar to 'real' terrazzo, are completely hassle-free, as opposed to the original material. 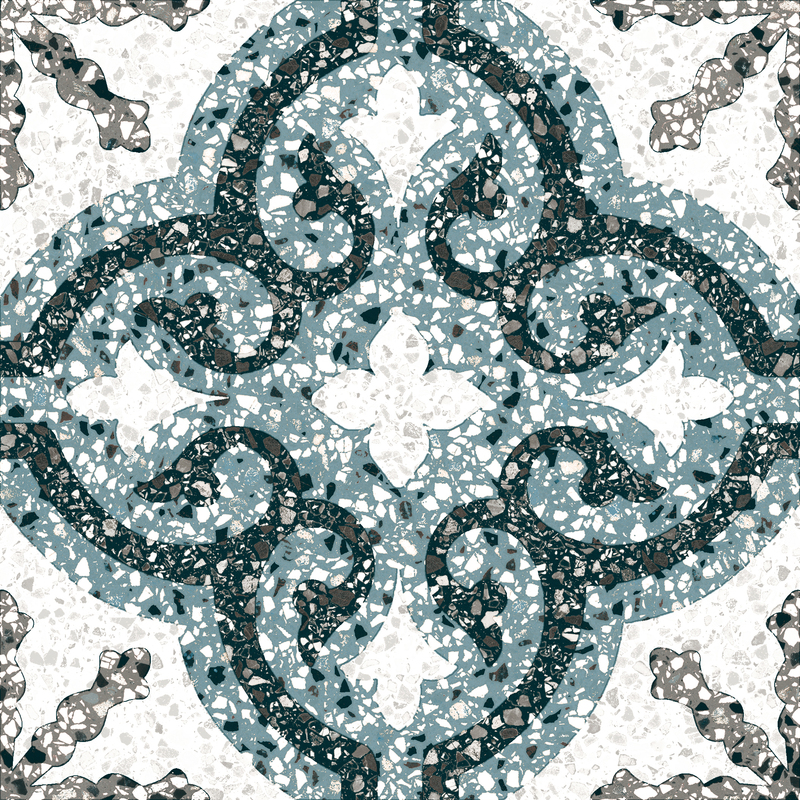 The ceramic terrazzo-tiles are set up like all other tiles. If you want a look that is closest to an original, cast terrazzo floor, it is recommended that you use a narrow grout that matches the basic color of the tiles. Ceramic tiles can be used on walls and floors in all types of rooms. If you put them in wet rooms, use an epoxy glue to achieve a moisture-proof surface.